Healthcare reform initiatives aim to reduce the astronomical costs of medical care. Specially educated nurses are the industry’s answer to quality care at a more reasonable cost. Nurses with a master’s degree are needed more than ever to provide specific clinical services. Obtaining this advanced degree will provide opportunities to become a nurse administrator, nurse educator, or health policy expert. Additionally, registered nurses can use the knowledge and skills acquired in a master’s program to become an advanced practice nurse with further specializations such as nurse anesthetist, nurse midwife, clinical nurse specialist, and nurse practitioner. There’s still time to use the master’s degree for entry into advanced practice nursing, but there are efforts afoot to raise to the minimum education requirement to a DNP degree. A decade ago, the American Association of Colleges proposed to have the master’s degree phased out by 2015, but there have been definite delays in the implementation of that proposal. The South Carolina Board of Nursing still accepts the master’s degree in nursing as the standard education requirement for licensure as an advanced practice nurse. Moreover, with just two DNP programs statewide and five universities still actively marketing their master’s degree program, it’s safe to say that the minimum requirements will not change for some time yet. If your goal is to become a nurse practitioner to treat the whole patient by addressing holistic needs and find stability in a fast-growing industry, then a master’s degree is the right choice. More than just offering professional benefits, the degree will provide a unique opportunity to help those in need. The higher level of specialized learning the curriculum provides will help you to develop the skills to make a positive change in the health care system. Specialized training is the standard for almost every aspect of nursing today. The MSN degree is the next step for registered nurses to enter into advanced practice. The program’s model requires prospective students to choose a specialty to begin learning from day one. There are four primary specialties for advanced practice nurses: certified nurse midwives, certified registered nurse anesthetists, clinical nurse specialists and nurse practitioners. Most specialties require at least two years of full-time training. Nurse practitioner and clinical nurse specialist students receive training in pharmacology, physiology, physical assessment, and pathophysiology in addition to courses related to the specialty. Certified nurse midwife programs include training the areas of women’s health, and certified registered nurse anesthetist students must cover coursework in clinical research, biochemistry, and chemistry. Practical training is an essential component of the curriculum as it provides the opportunity for students to gain hands-on experience in their specialty area. The curriculum requirements depend on the school, teaching format, and specialty area. The clinical contact for nurse practitioner students may be approximately 600 hours while students pursuing the nurse anesthetist specialty may have to complete as much as 2,500 hours in a clinical environment. Today’s master degree programs are available in several formats to target different learning styles. Traditional campus classes are available for students who need direct and personal interaction with instructors and other students. Hybrid programs comprising of online and classroom instruction and clinical experiences provide a healthy balance of direct contact and technology. Online programs are affordable and attractive to students who do not have access to a top-tier institution in their area. The flexibility of online learning is also beneficial to nurses who must keep working while they study. Through a network of affiliated partners, schools offering MSN programs are able to place students in a nearby facility to complete their practicum hours. There are several routes for entering an MSN program at South Carolina’s colleges and universities. RN to MSN: The University of South Carolina and the Charleston South University both offer accredited RN to BSN programs with flexible online classes included. The RN to BSN program is targeted to registered nurses who want a fast-track option to the MSN degree without repeating courses. This option saves time and money for nurses with an associate’s degree – some schools may enroll nurses who acquired the RN designation through a diploma in nursing. The curriculum covers graduate-level courses with the undergraduate requirements. Direct Entry MSN: Enrolling in the direct entry MSN program at the University of South Carolina, South University, and Clemson University is a competitive process. Applicants must have a bachelor’s degree in nursing and at least one year’s experience in a clinical environment. Oftentimes, the school may require volunteer work or clinical experience in the area of specialty. Nurses with a bachelor’s degree can complete the program’s requirements for graduation in two years. Post-Master’s Certificate: A few nurses may seek an additional credential in another area of specialty for a number of reasons, including a desire for a career change or overall dissatisfaction with their chosen area. The post-master’s certificate admits nurses with an existing MSN degree and prepares them for practice in another area in just 12 months. Admission into an MSN graduate program is competitive, so admissions personnel will select students based on the strength of their records. Separate applications to the School of Graduate Studies and the Department of Nursing is a normal part of the process. Requirements for admission to the department of nursing will include a Bachelor of Science in nursing (for direct entry programs), licensure as registered nurse, and a minimum of one year’s clinical experience. The school may require students to complete prerequisite courses in health assessment and statistics. The application fee, official college transcript, letters and recommendation, and a personal statement are some other common requirements. At least one year’s experience in a clinical environment. Consult the individual master’s program websites for specific entry requirements pertaining to each program. When selecting online programs from another state, it is important that you verify that the curriculum meets the South Carolina’s Board of Nursing requirements for licensure and practice within the state. Online MSN programs are affordable and convenient. The appeal of these programs is evident from the proliferation of new programs and expansion of existing ones. Flexible schedules appeal to nurses who must keep working throughout their study, but with the rising cost of tuition, the true appeal of online programs is their affordability. Online programs may be 25 percent cheaper than traditional programs, and students save even more by eliminating student fees, transport, parking, and course materials. Whether you enroll in an online or traditional on-campus program, your education will take a toll on your finances, but it’s well worth it. MSN-prepared nurses earn an average of $ $35,000 more that registered nurses with a bachelor’s degree. As you keep your mind on the financial rewards, it’s still critical that you get your money’s worth. The cost of completing a master’s degree program includes tuition, college fees, books, clinical supplies, and transport to clinical sites. In South Carolina, the average cost is $6,192 per semester for resident, full-time students. The final costs will depend on a number of factors. For example, financial aid will help students reduce out-of-pocket expenses. The South Carolina Board of Nursing requires nurses to possess a current APRN license or temporary permit to function as advanced practice nurses. Orientation is considered as practicing. Therefore, it is a violation of the Nurse Practice Act to begin an orientation without a Board issued license or temporary permit. 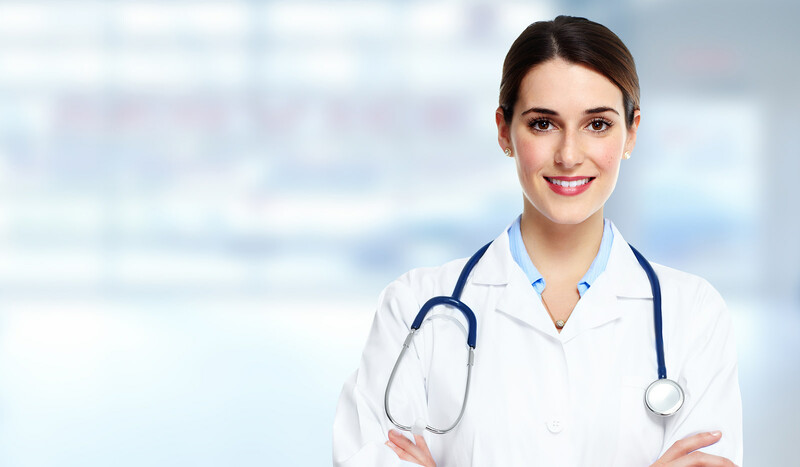 Meet the qualifications for licensure as a registered nurse in South Carolina. Provide evidence of current specialty certification by a recognized credentialing organization – completed within one year of graduating from the program. Psychiatric clinical nurse specialists can have up to two years from graduation to complete the certification requirements. Provide evidence of graduating from an accredited master’s degree program in nursing with an area of specialty. The Director of Nursing should send official transcripts directly to the SC Board of Nursing. Achieve and maintain national certification, from a Board-recognized agency, in an advanced practice nursing specialty. Submit a completed application for updating your RN license and the initial license fee of $30 – for SC licensees only. Application fees are non-refundable. Money order, personal check, or cashier’s check should be made payable to the LLR-Board of Nursing. Submit a recent 2” x 2” passport sized photo signed and dated on the front or back. Copies of legal documents indicating name change – if applicable. Complete the Affidavit of Eligibility. Furnish a full set of fingerprints and any information the Board requires to conduct a criminal background check. The criminal background check of the FBI and SLED records will be conducted by MorphoTrust USA. To schedule an appointment and pay the $51.50 CBC fee, visit Identogo/MorphoTrust online or call 1-866-254-2366. Include an additional $20.00 if applying for Prescriptive Authority. Fill out the Prescription Authority application and include documentation of completing 45 continuing education hours in pharmacotherapeutics. The Board processes applications in approximately 14 days after receiving a completed application and the required documents. You can track your application state online on the Board’s website. Licensed APRNs must inform the Board immediately of any change in address, name, and telephone number as well as changes in their place or practice or supervising physician. Notify the Board within 15 business days of changing or discontinuing primary practice settings to avoid disciplinary action. Advanced Practice Registered Nurses, with an active license to practice in another state, may apply to the SC Board of Nursing for a license or temporary permit. The Board will not consider applications from a person whose license is restricted to prohibit practice until the license from another state is reinstated to permit practice. Complete the application for APRN License by Endorsement. Enclose the non-refundable application fee. Money order, cashier’s check, or personal check should be made payable to the LLR-Board of Nursing. The endorsement application fee is $130 for a permanent license or $140 for a permanent license and temporary permit. Include an additional $20 (paid separately) if applying for Prescriptive Authority. Fill out the Prescription Authority application and include documentation of completing 45 continuing education hours in pharmacotherapeutics. Upload a signed and dated 2” x 2” passport type photo or enclose in with the paper application. Include copies of your birth certificate and social security or permanent resident card. A resident alien with no social security number may submit a copy of his/her resident alien identification card. Include a copy of your license from another state; expiration date should be visible. Request official transcripts from your MSN education program and have them sent directly to the Board of Nursing. Submit evidence of national advanced practice specialty certification from an approved organization. Provide copies of legal documents indicating name change – if applicable. Obtain signatures and license numbers from SC physicians to include with your application, where applicable. Submit verification of your RN and AP licensure. Use the license verification form if your original state of licensure is not a member board of NURSYS. All verifications must be submitted directly to the SC Board of Nursing. Review the SC Nurse Practice Act and SC Medical Practice Act before submitting your application packet. All licenses must be renewed by April 30th in even-numbered years. It is the licensee’s responsibility to renew on time or cease working until the license is renewed. Licensees must meet the continuing competency requirements, including those for renewing prescriptive authority. The APRN renewal fee is $105 or $145 when renewing with prescriptive authority.